RabbitMQ is a message broker for the messaging protocols. RabbitMQ supports Advanced Message Queuing Protocol (AMQP). Message brokers in computer networks are software applications to communicate by exchanging formally-defined messages over protocols for the message-oriented middleware. Previously we talked about Apache Kafka, that is basically similar type of software. Here are the steps on how to install RabbitMQ on Ubuntu 16.04 LTS server over SSH. These message brokers can act like a middleman for various services like web application to communicate between various servers and devices. 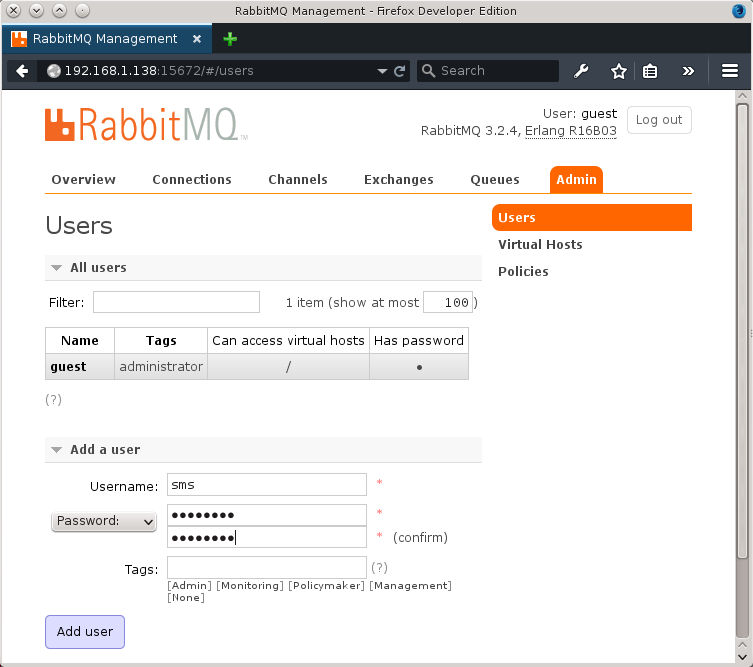 RabbitMQ offers an interface, connecting message senders with receivers through an exchange. sudo rabbitmqctl add_user admin password sudo rabbitmqctl set_user_tags admin administrator sudo rabbitmqctl set_permissions -p / admin ". *" ". *" ". *"
By default the port is 15672. If you go to http://your.IP.address:15672/, you’ll get the admin interface. guest is the default username and password is also guest. This Article Has Been Shared 7226 Times! In Part 1, we explained the most important basics of artificial intelligence, machine learning, deep learning. In Part 2 of Approaches of Deep Learning, we will focus around Benefits and use cases, Artificial neural network, Overview of use-cases of Deep Learning. Cite this article as: Abhishek Ghosh, "How To Install RabbitMQ on Ubuntu 16.04 LTS," in The Customize Windows, November 24, 2017, April 21, 2019, https://thecustomizewindows.com/2017/11/install-rabbitmq-ubuntu-16-04-lts/.